Football season is finally over and now, baseball season begins. The Boston Red Sox team truck has arrived in Fort Myers to deliver spring training supplies. FORT MYERS, Fla. – Football season is finally over and now, baseball season begins. The Boston Red Sox team truck has arrived in Fort Myers to deliver spring training supplies. 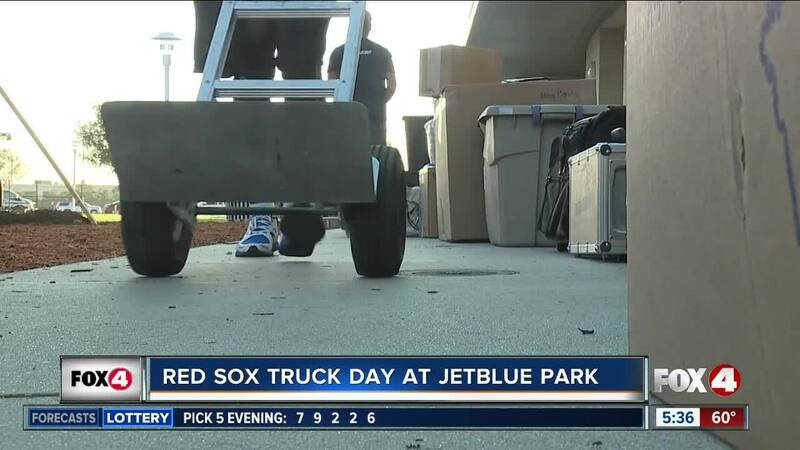 Truck day has been a tradition since 2003 in Boston and marks the unofficial start to spring training. 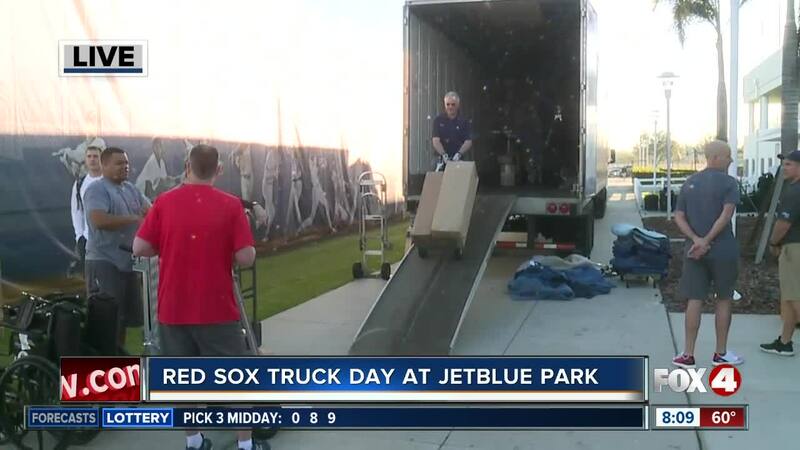 The truck left Fenway Park in Boston on Monday and arrived at JetBlue Stadium in Fort Myers Thursday morning. The truck is also carrying about 20,000 baseballs, 1,100 cases of bubble gun and 60 cases of sunflower seeds. Spring training practices for the Red Sox officially begin on February 14. The first game of spring training is on Feb. 22 against Northeastern University. The following day, the Red Sox will play the New York Yankees.